We are PIMORONI authorized retailer! PIMORONI design, manufacture, and sell friendly products for Makers, Educators and Creatives. 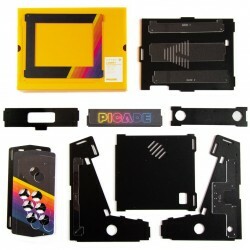 Founded in 2012 by Jon Williamson and Paul Beech, Pimoroni make tech treasure for tinkerers. If you want to learn about electronics, we’ll help you to start. Pimoroni stands for Pirate, Monkey, Robot, Ninja (Pi-Mo-Ro-Ni) and sounds like the name of an expensive Italian lager. It’s pronounced Pih-mo-row-knee. You’ll see the pirate (and his friends) pop up throughout our branding. 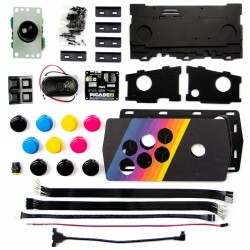 Pimoroni has authorized myArcadeConsole to resell its electronic products in Italy. 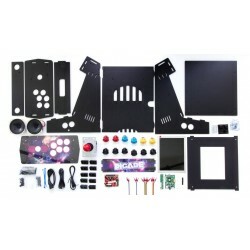 On our site you can find all the Pimoroni Picade products and everything you need to build arcade consoles (from Raspberry PI to power supply, from adapters to spare parts).